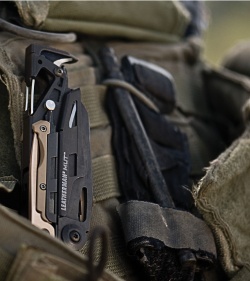 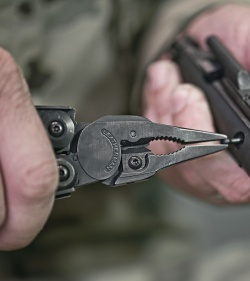 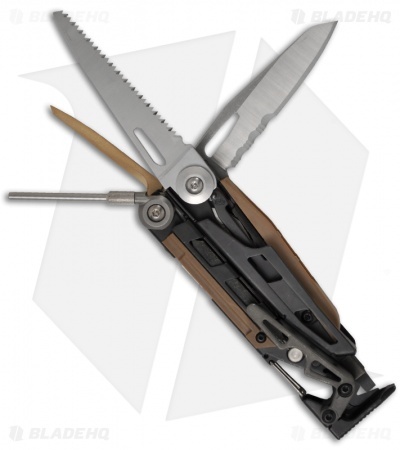 The MUT (Military Utility Tool) is built as both a tactical and practical multi-tool for military and civilian gun owners with multiple areas on the tool for cleaning rods and brushes as well as screwdriver bits sized for sighting adjustment work. 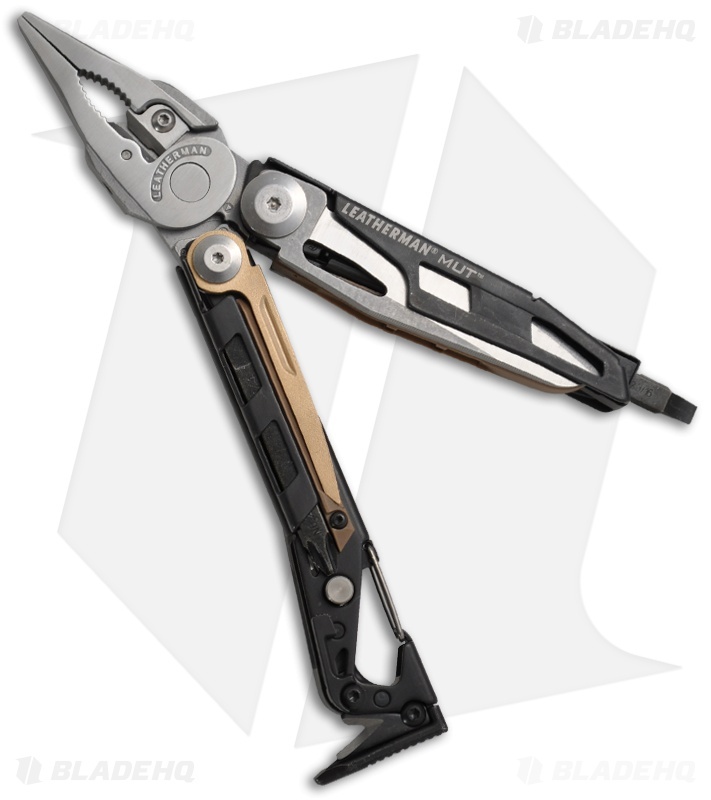 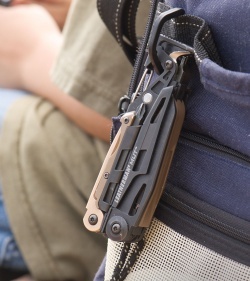 The MUT has a stainless steel body with black finished handles, a bronze scraper and titanium pocket clip. 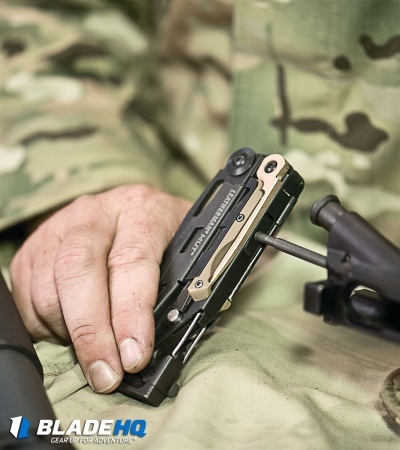 Also built into the design of the tool is the flexibility to replace the most commonly used parts on the spot, using a simple Torx #8. The blades and tools are all locking, with outside accessible blades for easy one-handed opening. 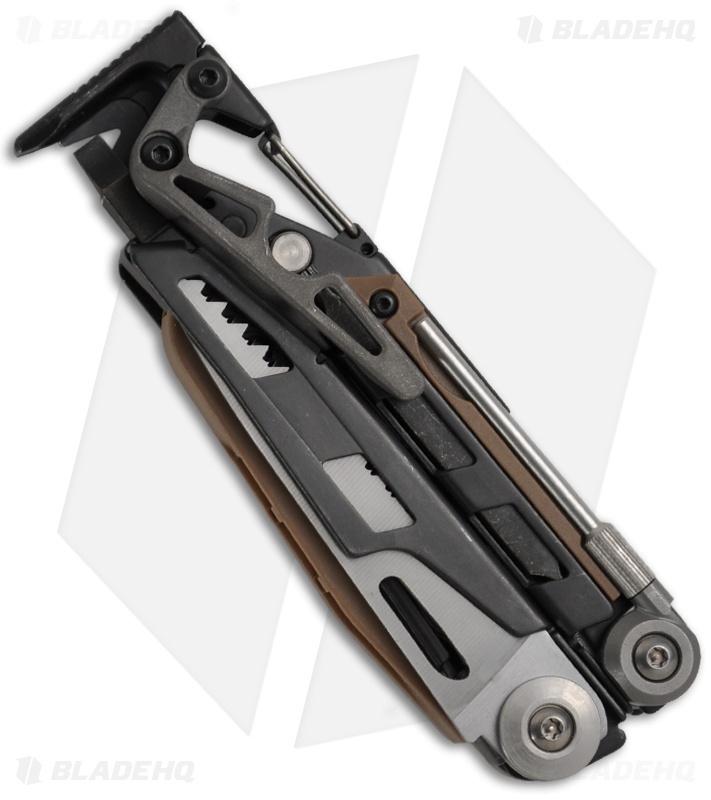 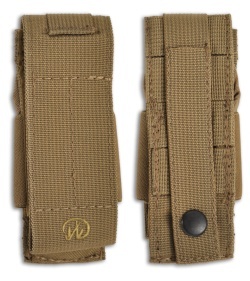 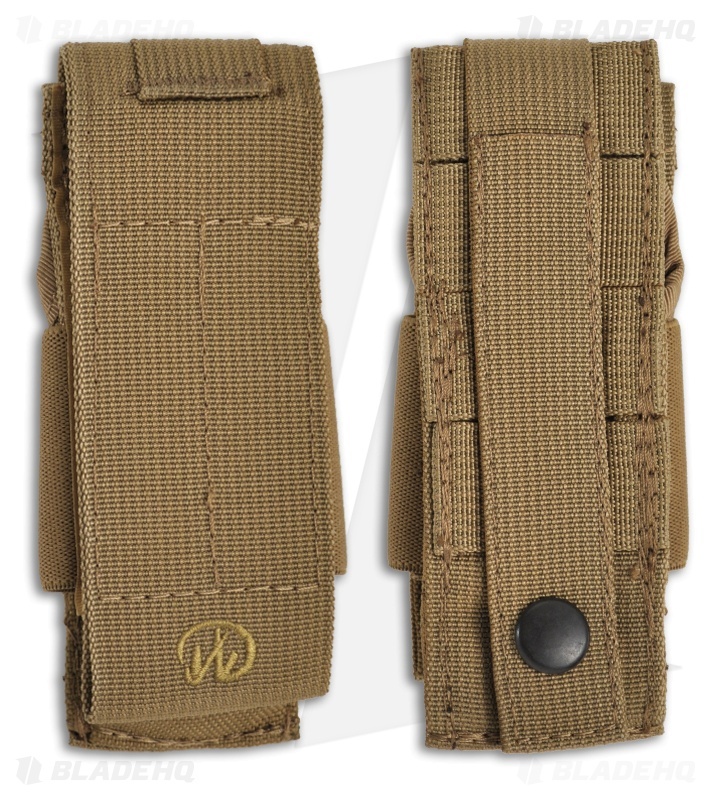 Inclues 1/2" and 3/8" wrench accessory and brown nylon MOLLE sheath. 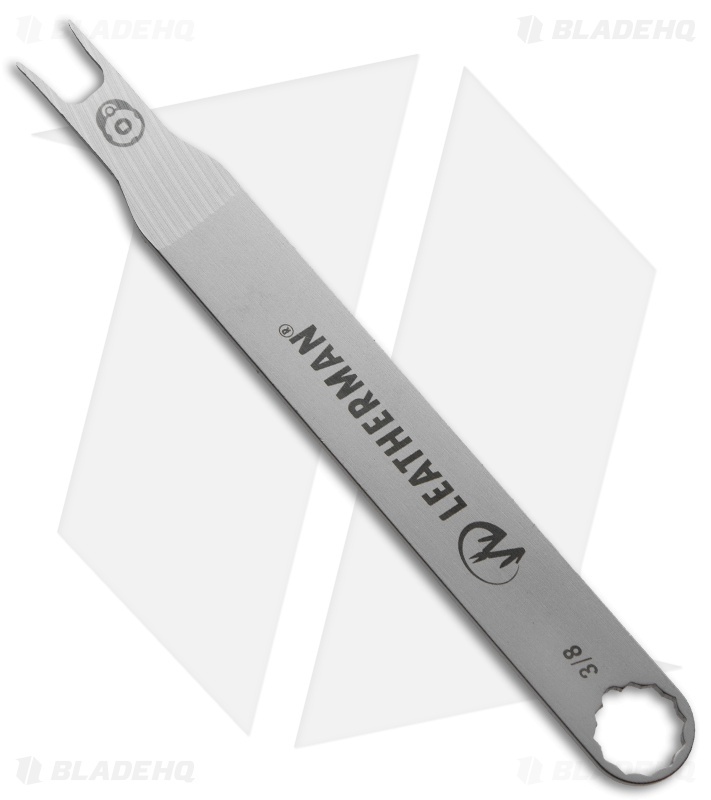 Bits: Phillips #1-2 & 3/16 Screwdriver, Phillips #2 & 1/4" Screwdriver, Torx #15 & Hex 7/64"